Pharmacannis, 1804 Maple Ave., is the only medical marijuana provider in Evanston. Despite some state reports of low patient enrollment at dispensaries, a Pharmacannis employee said the business is doing well. Although some Illinois dispensaries have reported low patient enrollment nearly two years after the start of the state’s medical cannabis program, Evanston’s dispensary has seen steady business since its fall opening, an employee said. 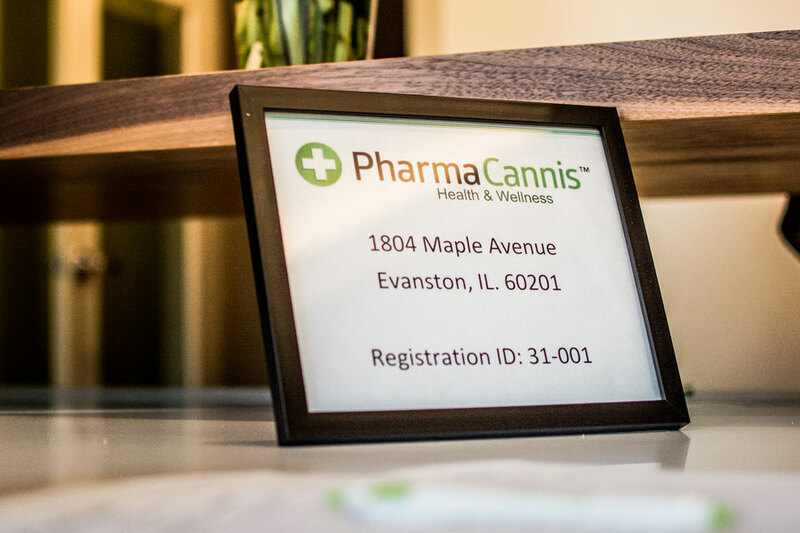 Pharmacannis, a medical marijuana provider and Evanston’s only dispensary located at 1804 Maple Ave., is functioning well despite state reports that other businesses are struggling. Patty Park, a patient associate at Pharmacannis, said the company’s two cultivation centers and recent expansion to the New York market signify a positive outlook for future business as well. The company currently operates four dispensaries in the state, with locations in Schaumburg, North Aurora and Ottawa. “We have been really fortunate, and we believe in a good business model for our patients through quality service, whether it be following up and making personal calls or addressing specific concerns,” Park said. The medical cannabis pilot program — which was passed in 2013 and is scheduled to run until December 2017 — lists 39 illnesses that make patients eligible for using marijuana as a medical therapy. Dispensaries are open to registered patients with medical cards and patients are allowed up to 2.5 ounces of marijuana every 14 weeks. Patients are able to petition the Illinois Department of Public Health to add medical conditions to the list, but the IDPH announced Jan. 29 no conditions will be added at this time. Joseph Wright, director of the Illinois Medical Cannabis Pilot Program, said the IDPH’s involvement extends to setting up and maintaining channels through which patients register, as well as safe distribution of medical grade cannabis. However, he said the state never had a projected patient number. Wright said the program is succeeding according to standards, and potential issues such as money laundering and diversion of product have not been reported. Paul Bachmann, current president of Americans for Disabled Americans, was a previous member of Illinois’ Medical Cannabis Advisory Board, but said he left the position about three meetings into his tenure because of issues with the program’s “lack of wanting to make appropriate decisions” on behalf of patients. Bachmann was a registered patient under the pilot program, but said he grew frustrated with searching for doctors that would recommend him for medical grade cannabis. He said he moved to Florida six months ago to seek a better standard of care for his health problems. Bachmann said he had to see a total of nine doctors before he moved out of the state, a problem he said was not uncommon to many registered users under the medical cannabis program. He said he believes the Illinois’ program will ultimately fail due to lack of patient enrollment. Park said although Pharmacannis is not having issues with patient under-enrollment, the business has faced issues with physician involvement. She said this is mainly due to lack of education surrounding the program, citing the misconception that cannabis functions as a prescription. Physicians are currently required to “recommend” patients to be registered but do not actually prescribe medical cannabis. Wright said he views progress on the program positively but values input on how to move forward. This post was updated to clarify Patty Park’s position at Pharmacannis.